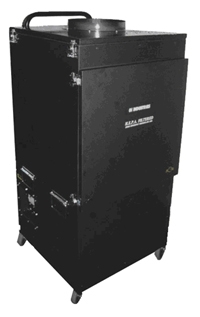 The DCM-5000 vacuum is made for removing deposits in HVAC ducts, ventilation, and other internal duct. It features a large storage tank, (2)1.5HP. 115volt electric motor, 5000CFM, a HEPA filter rated at 99.97% and caster wheels with stair climbers for easy transportation. In addition, the DCM-5000 filters and storage bag can be removed fast and efficiently by removing the front panel. 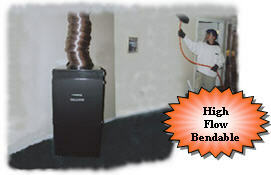 A single operator can easily clean ducts thoroughly. Height: 58" x 24" 24"